The Strypes are a young band from Cavan, Eire, whose fresh, fierce brand of music and live performances have brought them tours and fans worldwide. Here, not long after they featured in TV documentary ‘The Best Thing Since Cavan‘ they are interviewed for Blues Matters magazine. 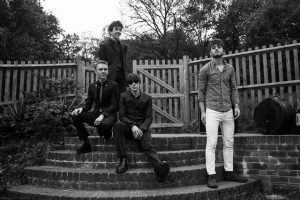 – New bands that The Strypes enjoy, such as Raglans who supported them at The Forum, Tunbridge Wells where they were interviewed. Read the interview, plus the band’s run down of their favourite ten tracks by other acts, and the review of their gig at The Forum in the next issue of Blues Matters magazine. Photo by Amber Charach – ambercharach.wix.com/photography.